Nan A. Talese, 9780385532716, 304pp. It all started thirty years ago with a chance purchase of The Escoffier Cookbook, an unlikely and daunting introduction for the beginner. But Conroy was more than up to the task. He set out with unwavering determination to learn the basics of French cooking—stocks and dough—and moved swiftly on to veal demi-glace and pâte brisée. With the help of his culinary accomplice, Suzanne Williamson Pollak, Conroy mastered the dishes of his beloved South as well as the cuisine he has savored in places as far away from home as Paris, Rome, and San Francisco. 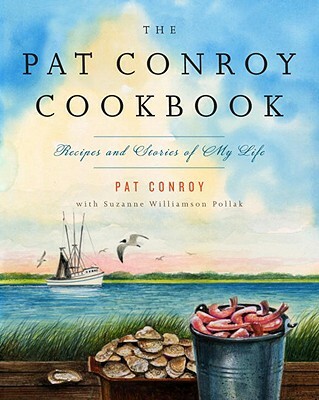 PAT CONROY is the bestselling author of The Water Is Wide, The Great Santini, The Lords of Discipline, The Prince of Tides, Beach Music, and My Losing Season. SUZANNE WILLIAMSON, the author of Entertaining for Dummies, was the spokesperson for Federated Department Stores on the subject of cooking and home entertaining.